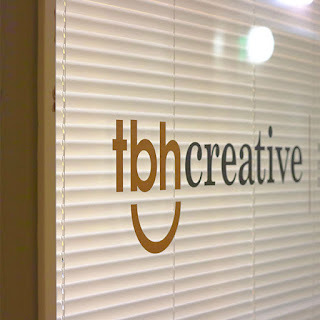 It seems like it was just last week that I started my Digital Marketing Internship with TBH Creative– but you know what they say, time flies! Looking back on my time here, I'm amazed at just how much I learned from the digital marketing agency. I hoped to learn useful content and inbound marketing strategies, improve my knowledge of various development and production software, and make some meaningful content along the way. I ended up getting all of this and more. I came into this internship with an "I got this" mentality. After all, I was soon-to-be upperclassman studying marketing and analytics, who was familiar with TBH's work from my internship last summer, that grew up in the tech generation. For those of you who don't really know me, take a look back at the very first post I wrote for TBH! After the first week, I knew this wasn't going to be like other internships. There would be no coffee-fetching or chair-stacking or any other sort of stereotypical intern tasks. No, I immediately hit the ground running and didn't slow down for 10 exciting, challenging, engaging weeks. Here are the top 3 things I learned as a digital marketing intern. I learned very quickly that "stagnation" is not a word in TBH's vocabulary. If something isn't moving, let's go make it move. This means that you might be wearing 4 or 5 different hats in a day. I love that about TBH and small agency life. To me, a variety of tasks and objectives is more exciting than a cut-and-dried daily routine. Understanding your process takes time. It's important to track how long tasks usually take you so you can properly prioritize your tasks and predict your time required for each. Since you can be required to be a jack-of-all-trades in a small digital marketing agency, bouncing back and forth between content development, and competitor analysis, and photo editing, and web production, you need to know how to juggle the tasks at hand without letting any thing fall. This requires self-awareness, planning, and communication. You need to be able to accurately predict how much time something is going to take. The typical internship goes something like this: you are given a task, you are given instructions on how to complete said task, and you are given a due date. Lather. Rinse. Repeat. Not at TBH. The best thing you can do for any project is to give it one final look-over for any typos or areas of improvement. I immediately felt like I was part of the team, not a part of an internship program. In a small agency, everyone's opinion is valued. I was actually taken back a little when I was first asked for my recommendation on a project. I wasn't just completing mock-up tasks for learning purposes; I was carrying out legitimate, client-facing tasks. This means that excellence must be your standard. Be informed, be critical, and be thorough. Make sure you work stands out, and that you would proudly stand next to it. It's better to take some extra time up front to carefully and thoughtfully scope or plan a process– it will surely save you time down the line. This is at the heart of TBH's process. Accurate planning helps to set expectations with your team and the client and adds reliability to your brand. Use an online project tracker like Trello to keep a record of all current project, set due dates, and measure progress. Give yourself due dates for absolutely everything and hold yourself accountable to them. Whatever your process is to set due dates and chart progress, you must do so faithfully. My summer with TBH has helped tremendously in my search for the answer to, "so what do you want to do when you grow up?". I've realized that the excitement and variety a small agency offers is where I want to be. I am excited to take the skills I've learned from the amazing TBH team and continue to grow them in the future. TBH showed me that a little hustle and heart will set you apart, and I'll carry this lesson with me throughout my career. Ready to see what you can learn from TBH Creative?